Bagel school – book your place now! Have you ever wondered how to make bagels? 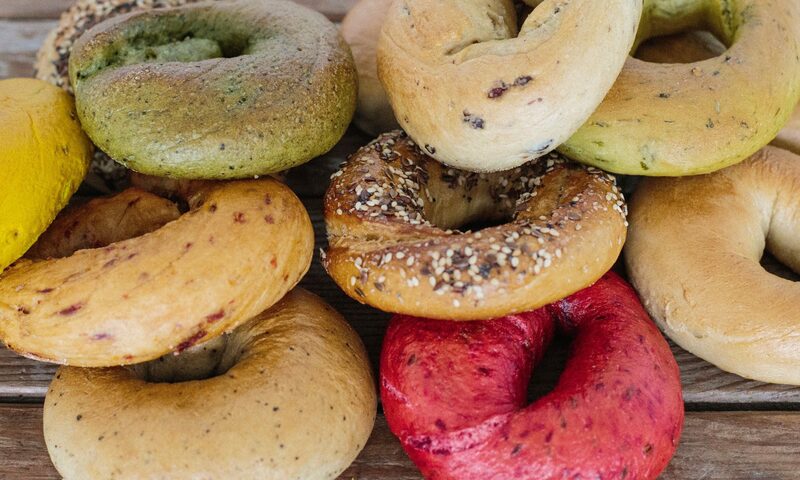 why not surprise your friends and family with a fresh baked bagel from your own oven? Come to Bagel School and learn how to do it! Running from 10 am – 3pm , the first Sunday of every month between November and April next year, in the commercial kitchen at Regather, you learn how to shape bagels, the type of dough mixture you need to get that familiar bagel chew and get to learn tips and tricks to make them come out just right. No need to bring any equipment, just a spirit of fun and curiosity. You will take away your clutch of bagels and a specially designed tower of bagel notebook.